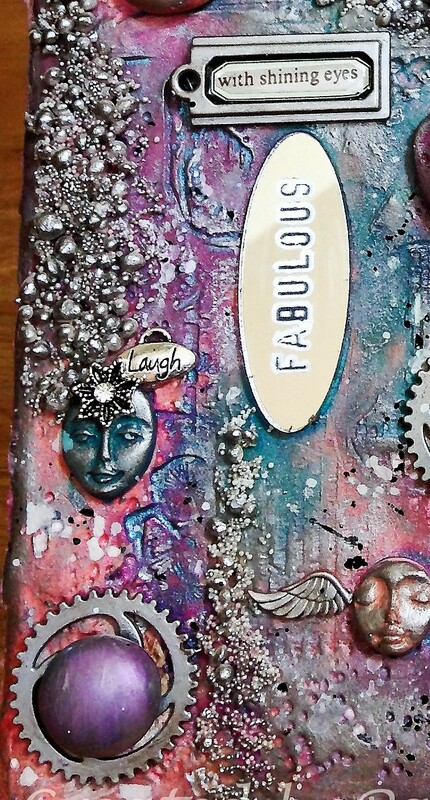 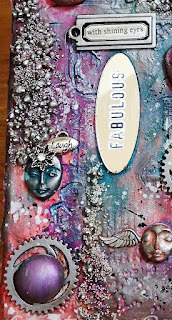 Hi Friends: It's time for another mixed media canvas featuring Creative Paperclay® and showcasing the versatility of this amazing product. 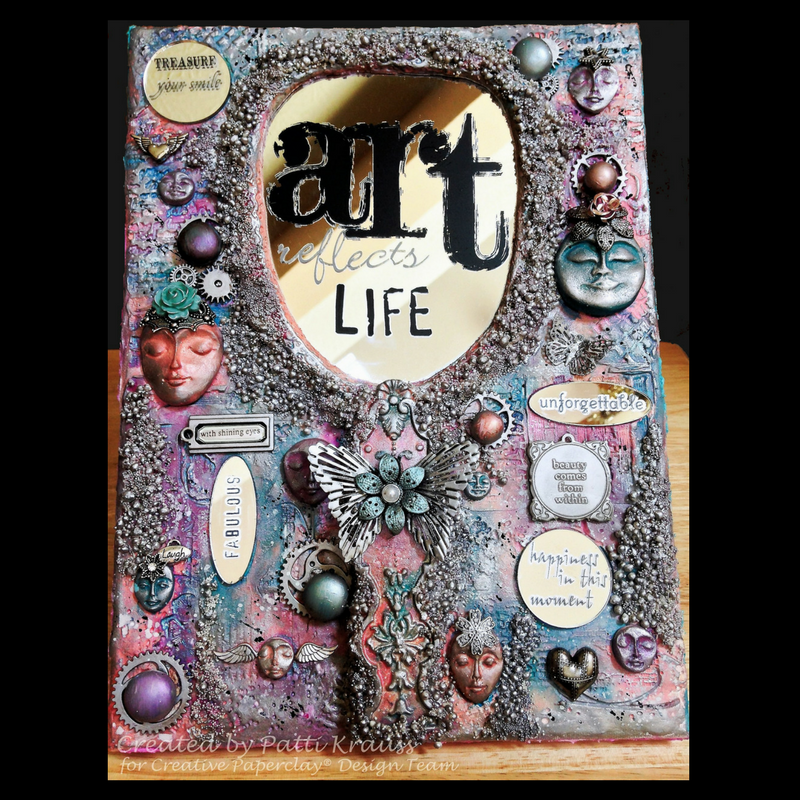 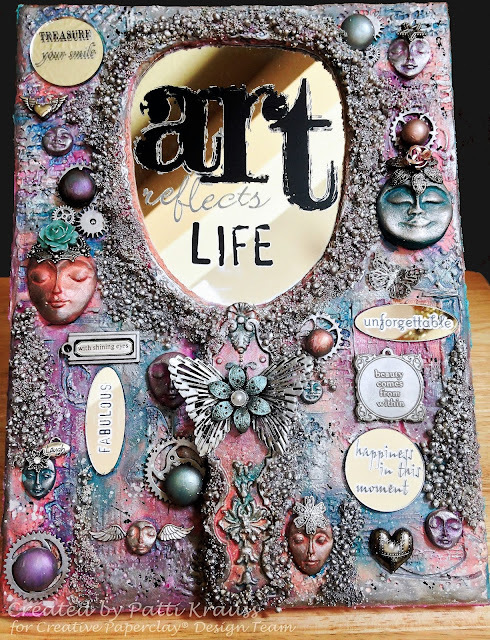 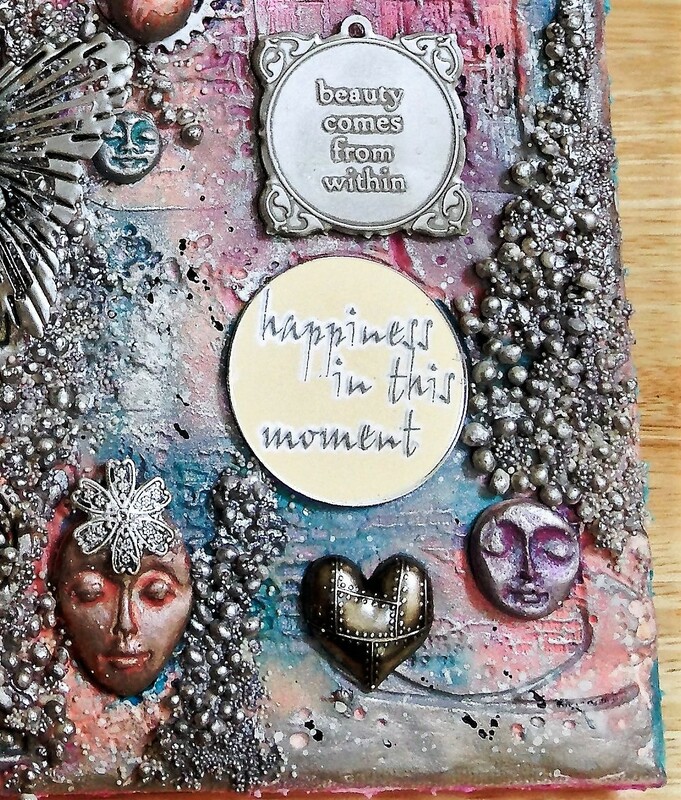 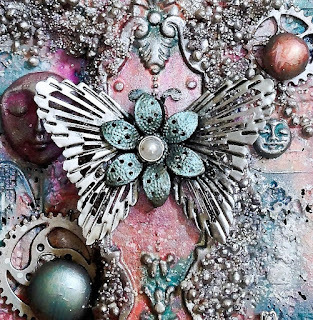 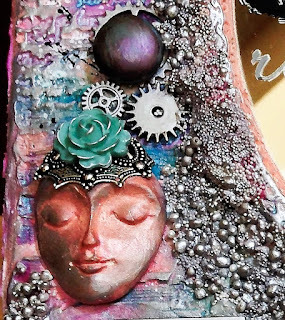 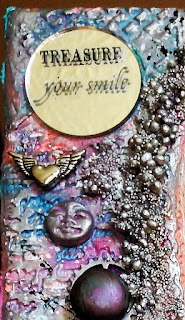 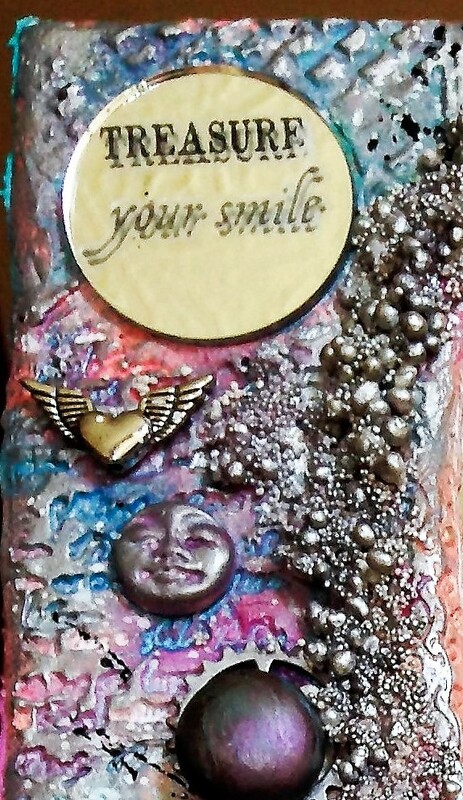 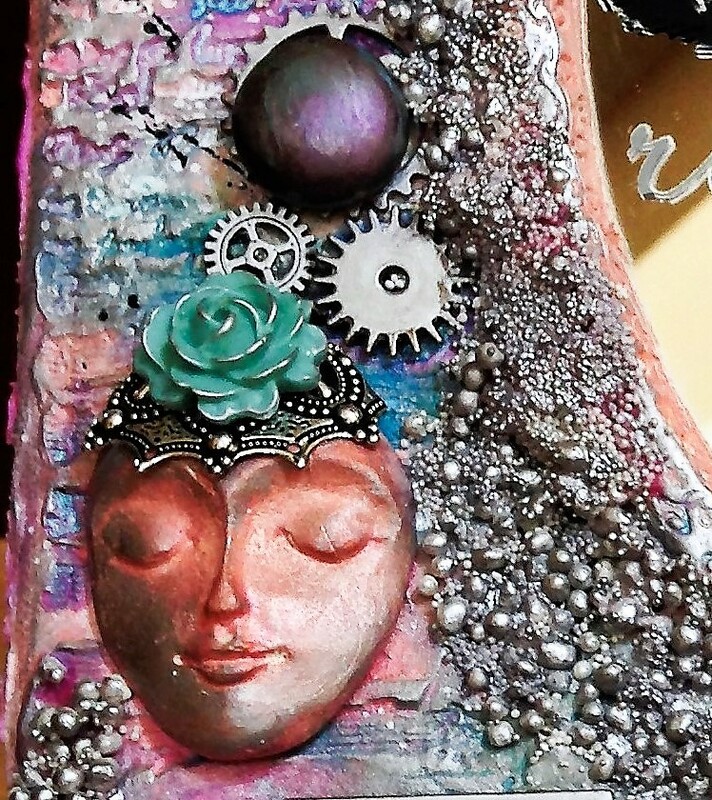 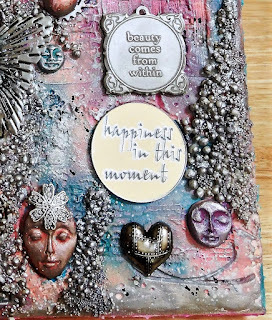 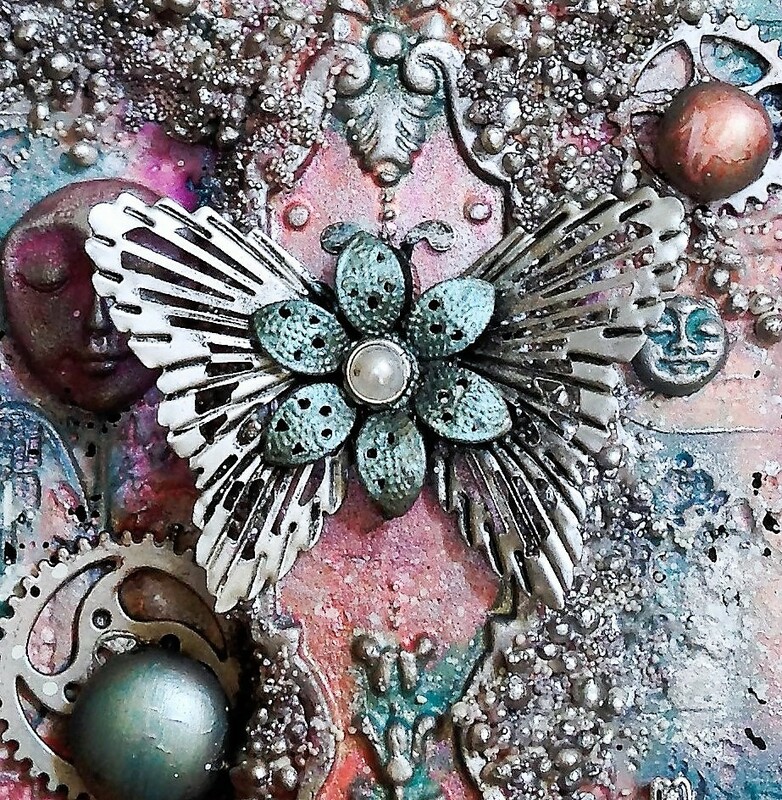 For this project, I used Creative Paperclay® as a background on my canvas, to cover and enhance a plain dollar store mirror, and in various molds used as accents on the canvas. 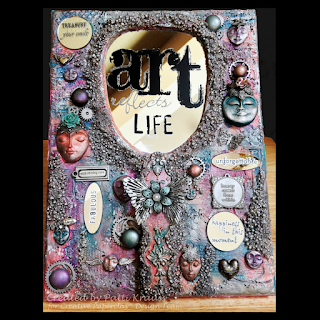 JLO - Coffee Lovers - What's Brewing?